The aim for this year is to use up as much stash as possible. Not to avoid buying yarn per se, but to make stash the first port of call when starting a project. So far it’s worked fairly well; there was enough yarn in my meagre stash to make a vest, a cowl (with some help from an abandoned scarf) and a bolero (with some help from a knitterly stranger). These socks, however, have put an end the golden run of stash diving. Initially there appeared to be more than enough yarn to make a pair of Kalajokis. In fact, there looked like there’d be enough to make a pair of knee high Kalajokis. As soon as the thought of red knee high socks materialised in my brain, it was over. It was a pair of red knee high Kalajokis or nothing. There were four or five attempts to try and squeeze a pair of knee socks out of the yarn I had stashed, but it was to no avail. Even with a pair of knee socks that was close to vacuum sealed onto my legs, there wasn’t enough yarn for most of the foot. There’s definitely enough yarn for a pair of ‘normal’, shorter, Kalajokis, but quite frankly it feels dirty typing those words. Red knee high Kalajokis or nothing, remember? As it happens, the colour of the yarn (Bendigo Woollen Mills Allegro, in the discontinued colourway Scarlet) is pretty close to Patonyle 8ply in red. Let’s hope the seven balls purchased in the recent Clegs sale will be enough. As for the Allegro, its future is uncertain. It’s a fairly splitty yarn, so while the colour is good and the fabric seems pretty hard wearing, it’s not the best to knit with. So back it goes into the stash, waiting for another pattern to come along. Hopefully next time round there will be enough to finish whatever I start! aww no, I’m sad about this, but glad that you’ve found a replacement yarn! Ah, yes! When an idea takes hold, it holds on tight! You make me smile as I love the way you write!! Everyone must have red knee highs this winter, surely. I’m working on a pair. 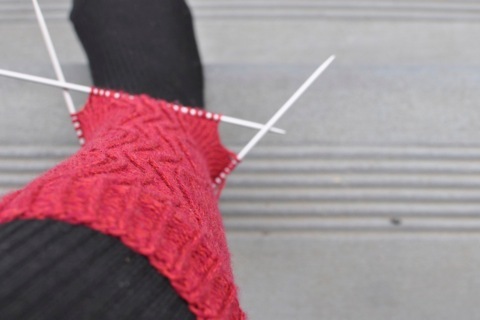 Patonyle is a great choice, and sale yarn doesn’t punt as stash, anyway! Count as stash, that was meant to say…. red knee highs? Oh be still my beating heart. 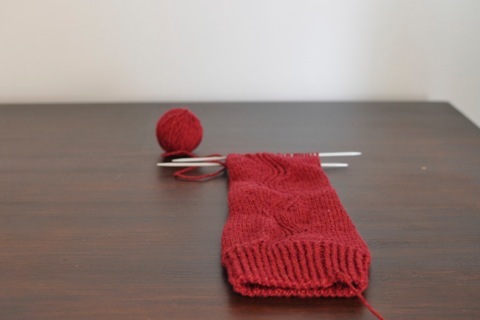 I’ve had two skeins of red socks that rock set aside for YEARS for this purpose – i must do something about that. It’s good you’ve been able to find a match. I like that you’re sticking it out rather than giving in and starting something new. Determination. Also, your take on knitting from the stash is basically mine, too, but articulated better. I never said i WOULD’T buy yarn but that yes, the stash would be the first consideration. I’ve found going in there and playing with it is a great way to remember what I’ve got and renew enthusiasm for forgotten acquisitions. 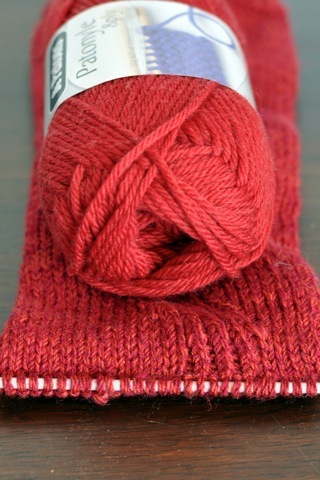 Maybe the Allegro can become a matching Kalajoki style hat to go with the socks once they are done. It’s certainly cold enough in good old Melbourne town to need one!